It's so difficult to write about weaknesses, but it should be easy when it comes to strengths, right? 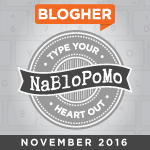 This is my day 11 post for #NaBloPoMo and I am writing for the following prompt for #FridayRefelctions. I know this is the greatest strength I have. I don't lose cool so easily unless it is my kids being too naughty :p I think, it's from my genes. I deal differently when I am angry. I try to become silent and isolated. Sometimes, I also feel bad that I couldn't react to the situation properly as I was silent when I had the reason to be angry. But, this helps me in long run. So, I need not worry about hurting others and breaking relationships in a fit of rage. 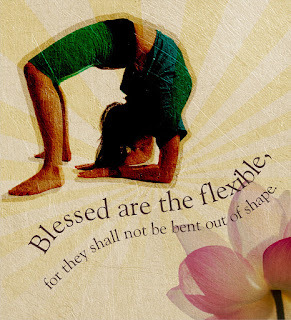 Flexibility is a great quality one can have. Life doesn't always give everything we want. We might have to perform several tasks which we might like to do or not. Being positive and going with the flow of life is what I learned. Being resistant to change always made things difficult for me. Planning and making myself flexible to adapt to different situations helped a lot. Sometimes, it's tough for others to deal with me in professional life as I want to understand everything in detail before I jump into that work. I cannot randomly work on things with only a few clues and without knowing the big picture or final goal. This attitude might slow down things, but it really helps me in getting the task done with perfection. I love to put my legs on many things until I can stretch both my legs and doesn't fall down :p It's crazy actually to try to learn many things, but it gets interesting for me. Dance, music, crafts, blogging, painting - I love all that! So, that's about my strengths. 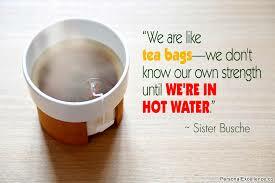 What do you consider to be your strengths? Do let me know in comments. Thinking about what I was going to blog about (10 things I wanted to be remembered for) made me think of my talents - but I could certainly use a body that is a lot more flexible. And, I am far from being a jack of all trades. Maybe a couple. But perhaps that is a strength, too. Adaptability is a very good strength to have. You sound very calm and composed. Good post.